Glytone is a brand who's science actually originated in the 1940's when two pharmacist began making topical dermatological products. Since then the science has continued to develop allowing Glytone to offer solutions that guarantee optimal tolerance and efficacy. Their customized approach and specifically targeted products offer truly amazing results. 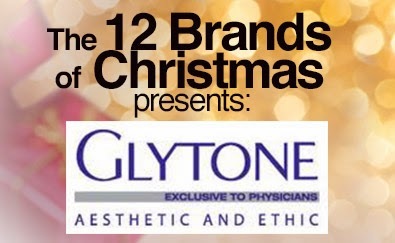 My personal favorite is the Glytone Body Line! Their Retexturize products have helped me with those lovely body bumps I get on my upper arms and legs. It's become a MUST HAVE in my daily routine. 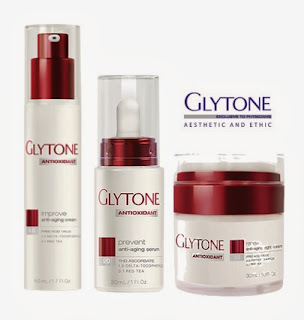 Many of you have specifically asked for exfoliating product recommendations and Glytone's Award Winning Essentials Mini Peel Gel is the perfect exfoliant! You can add this into your normal routine bi-weekly, or for more aggressive results, use several times a week under a professional's care. Even better? It's great for ALL SKIN TYPES! This amazing product was a Best of Beauty Award Winner in Allure Magazine for 2011...and it delivers smooth, radiant skin! This is an AMAZING GRAND PRIZE and valued at $230!! Wanna win? Just click here to enter and don't forget to follow our 12 Brands of Christmas on Facebook for even more chance to win amazing samples! Preview To Our 12 Brands of Christmas! Think Pink: Find your new favorite lip product!